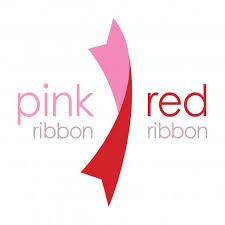 African women’s health advocacy nonprofit Pink Ribbon Red Ribbon (PRRR) announced in early January that it had recently screened its 100,000th patient for breast and cervical cancer. To date, the far-ranging cancer-screening initiative has impacted the lives of thousands of women in Zambia, Botswana, and Tanzania. PRRR’s efforts have the potential to profoundly affect the well-being of women and girls in Africa. Cancer screenings in these countries help doctors to extend lives by detecting the disease early. Moreover, screenings give clinicians an opportunity to offer advice about HPV vaccinations for girls, and therefore reduce incidences of cervical cancer in the future. In addition, because women in Africa comprise such a large fraction of the country’s agricultural and food production capacity, PRRR initiatives to promote women’s health act as a stabilizing force on local economies. The 100,000th cancer screening is a significant milestone for PRRR, which was founded in September 2011 through a coordinated effort among the George W. Bush Institute and a number of other health advocacy organizations and agencies. Since its founding, the nonprofit has expanded operations into five sub-Saharan nations. PRRR now serves women in Botswana, Ethiopia, Namibia, Tanzania, and Zambia.